Crop circle archive. All created by lightning discharges. Generated by discharges of lightnings, very "discreetly"
Thorough crop circles database, found over the years. Many of them, by their shape and some accompanying effects, directly support the theory of their origin by lightning discharges. Mankind still do not believe. 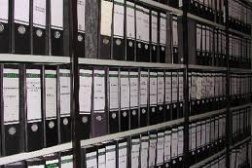 Also available complete summary table, without images, photos, pictures and links, summarizing the years 2010-1994, 1985, 1983. Will be continuously appended and extended. Over the years were collected unimaginably large amount of stupid and mad statements about possible causes of crop circles origin. UFO, mysteries, miracles. Plasma vortexes, flying saucers. Microwaves, unknown or unidentifiable forms of energy, alternative sciences, and many other. 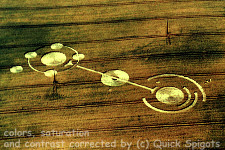 Also many other similar statements of previous researchers of crop circles. Messages very often relatively stupid. Only single one their previous supposition was correct. 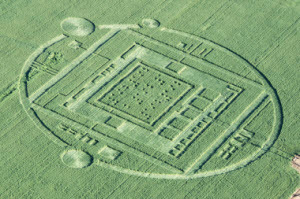 Crop circles are created by the action of energy. The amount of energy is just at the point where they are created, exactly at the moment when they are actually recorded, really unimaginable. In fact excessive, huge surplus. Although really just for a very short time. Less than one thousandth of a second. Burned and charred plants and their parts, inside or in the vicinity of crop circles - they were caused by thermal effects of lightning, infrared radiation. 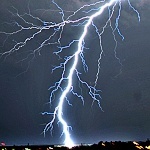 Of course, also possible effects of the electricity from the lightning discharge. The plant material may act for a short time also like a resistor - heating spiral, but has only very limited durability. Warranty period only a fraction of a second. Being surprised by the fact, that at the impact point of lightning is possible to find burnt and charred plants, may be just a really "slightly temporarily disoriented man". Such a simple and understandable phenomenon. Next very often mentioned "anomalies", malfunctions of electronics, is only consequence of residual electrostatic charge from lightnings. May be detectable underground, in soil, plants, air. Any material, occuring on such a place, was exposed to effects of static electricity. Measurable. Very easily verifiable. Warning of possible damage or malfunction due to static electricity is in the instruction manual of any microelectronic device. You can't give up hope just because it's hopeless. You gotta hope even more!